The featured index in the latest bundle of additions to the Geelong & District Database is for names on numerous Honour Boards in the Geelong district. These Honour Boards include those commemorating servicemen in the region but they also include other Honour Boards for various organisations. Some boards include Presidents, Life Members, Members and other groups of people. The initial entries were extracted from the Geelong Family History Group publication Index of names listed on Geelong & District Honour Rolls which has been out of print for some years. More boards have been added in addition to those from the GFHG book – see the list of Geelong and District Honour Boards already included in the database. Entries include name, date(s) [where available], and the title of the board. 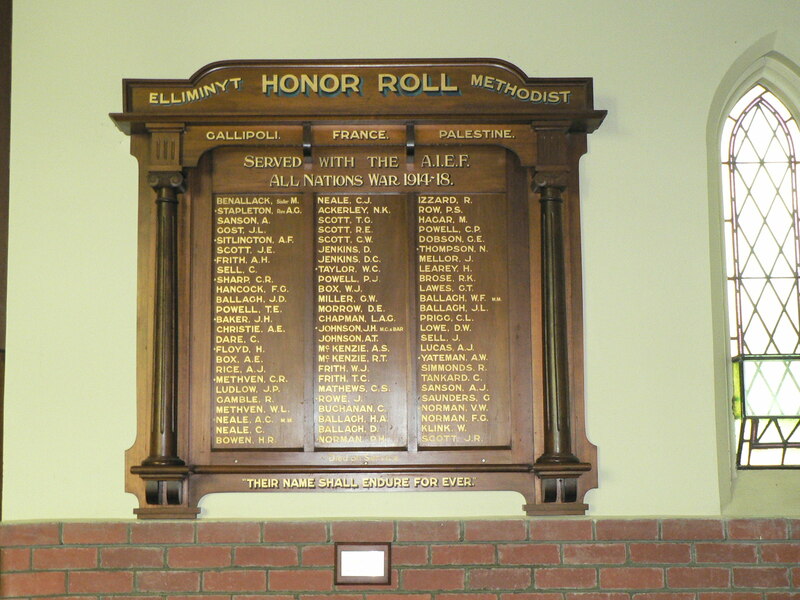 At the recent meeting of the Geelong & District Historical Association, members adopted the Honour Boards as a new global project for all members. Already we have photos of some of the boards and plan to expand this for all existing boards in the database as well as all additions to the project. Most of the boards in the GFHG publication were transcribed many years ago – before digital cameras made this exercise so much easier! Sadly some no longer exist – it is believed that the Geelong Golf Club entries were destroyed in the Club’s fire – at least we have the names from the board.